Ztt Alr 550 - Thermal Management Sleeving And Jackets - Thermal Management - Products - ZT | Zippertubing Co.
0.25" 0.5" 0.75" 1.0" 1.25" 1.5" 1.75" 2.0" 2.25" 2.5" 2.75" 3.0"
The product is then sewn by using an "over-lock" stitch using a high-temperature, stainless-steel-reinforced Kevlar thread. 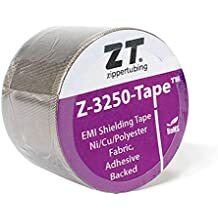 ZTT® (ALR-550) is a high-temperature, thermal-barrier, pull-through sleeve that is intended to protect your cables, wires, electronic sensors, insulation blankets, and so much more. 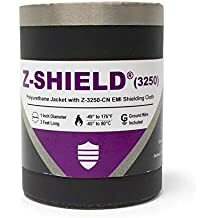 The jacketing material of ZTT® (ALR-550) is comprised of a medium-weight, woven, modified e-glass fabric with an aluminum metalized coating on both sides. The ALR-550 jacketing material can withstand continuous temperatures of 1,022°F. The product is then sewn by using an "over-lock" stitch using a high-temperature, stainless-steel-reinforced Kevlar thread. This specific Kevlar thread is coated with polytetrafluoroethylene, houses a stainless steel wire core, and is considered to be one of the strongest threads on the market today. Combining both of these high-temperature materials into one product produces a staggering 1,022°F durable, 360° thermal protection product that is the perfect choice for applications that require it. Cable Diameter 0.25" 0.5" 0.75" 1.0" 1.25" 1.5" 1.75" 2.0" 2.25" 2.5" 2.75" 3.0"
ALR-550 is a thin and flexible E-Glass with an Aluminum laminate on both sides. The product is very flexible and available with a Stainless Steel Snap closure or it may be Sewn with Kevlar/Stainless Steel thread for custom shapes. Primarily used in the truck and bus industry it has an operational temperature range of -58° to 1,022°F or -50° to 550°C and may be an economical alternative to heavier weight materials. This polytetrafluoroethylene (PTFE)-coated Kevlar thread is one of the strongest threads on the market today. The Kevlar thread houses a stainless steel wire core that can be sewn to many of Zippertubing&apos;s jackets, including its high-temperature heat-reflective materials. This thread is intended for long-term, extreme high-temperature applications up to 1,650°F. Tensile Strength 20.5 lbs min.